Are you tired of all the cliched vacation spots in the U.S.? If you’re looking for fun-filled family vacations to new and exciting domestic destinations, then we have the book for you! 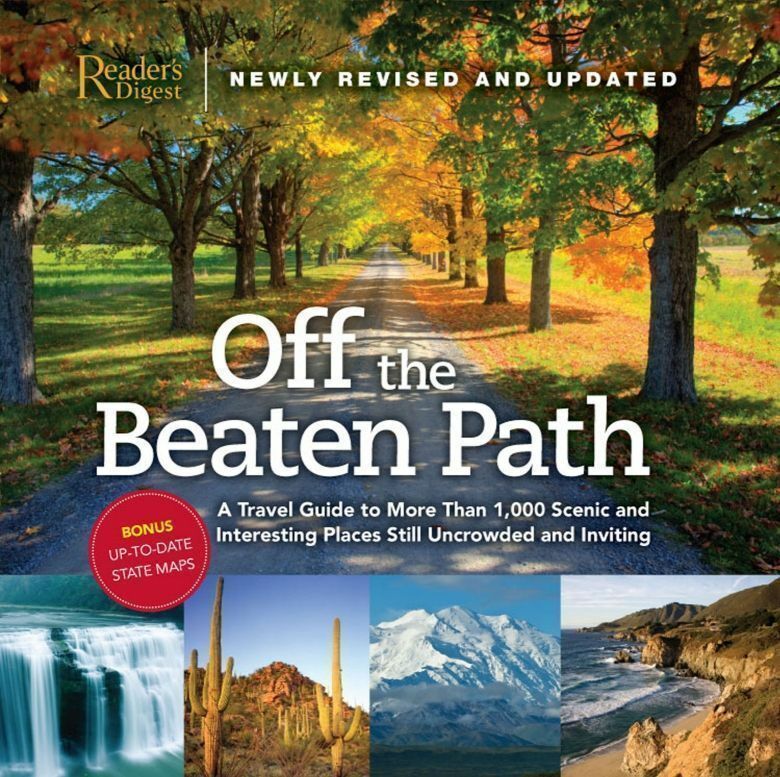 Off the Beaten Path is a large format, coffee table size travel guide featuring all the eccentric, unknown, and under-appreciated destinations across the 50 states, ranging from historic landmarks to pristine natural settings and so much more. Some you may have heard of, but this book will also guide you to all the niche restaurants, accomodations, and attractions, providing you and your family with a truly unique adventure. With great color photos and maps scattered throughout, the guide shows all of the interstate routes, helping you pick which route works best for you, and enabling you to avoid stopping and asking for directions, a catalyst for many a roadtrip fights. State by state, this book will guide you to anything and everything you might want to see, providing full-color photographs, and a seasonal event schedule for each state as well. If you’re a sports fan, check out the Midnight Sun baseball game in Fairbanks, Alaska or if you enjoy all that nature has to offer, visit Mackinac Island, Michigan for the Annual Lilac Festival. For the history seekers, catch a re-enactment of the Boston Tea Party, and for those just looking for some fun — head to Hope, Arkansas, the birthplace of Bill Clinton, and enter the watermelon seed-spitting contest. With over 1,000 places to visit, including lighthouses, wineries, and culinary havens, to name a few, this book answers any questions you might have, providing you with contact information to all the places mentioned plus maps. It even includes the essential travelers’ details for each site, stating whether or not the site has wi-fi access, is pet-friendly, or handicap accessible. If you’re going on a roadtrip in the U.S. you will definitely want to invest in a copy of this book. It will also keep the little ones occupied as they explore the U.S., enabling you to bypass the “are we there yet” questions.